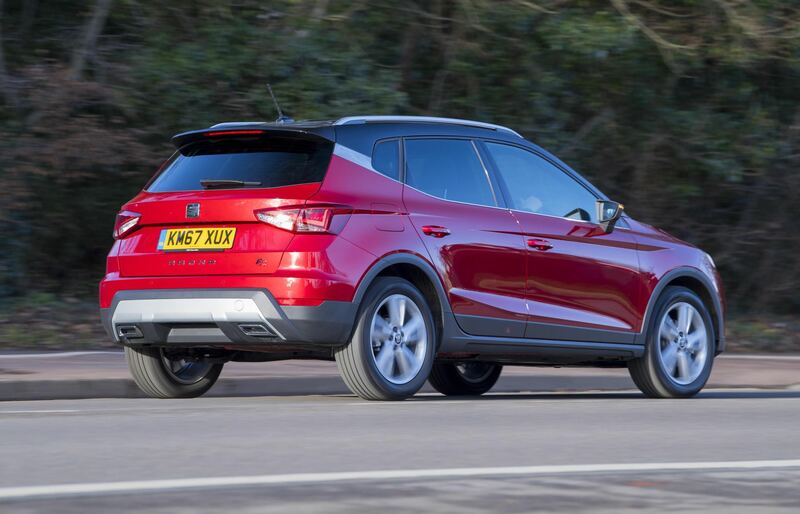 SEAT Arona FR 1.5 TSI EVO 150 Compact SUV Briefly Tested. Working requirements mean that sometimes we can only spend a comparatively short, but informative, time in a test car. In between these extremes a car’s character can ease itself into your consciousness. 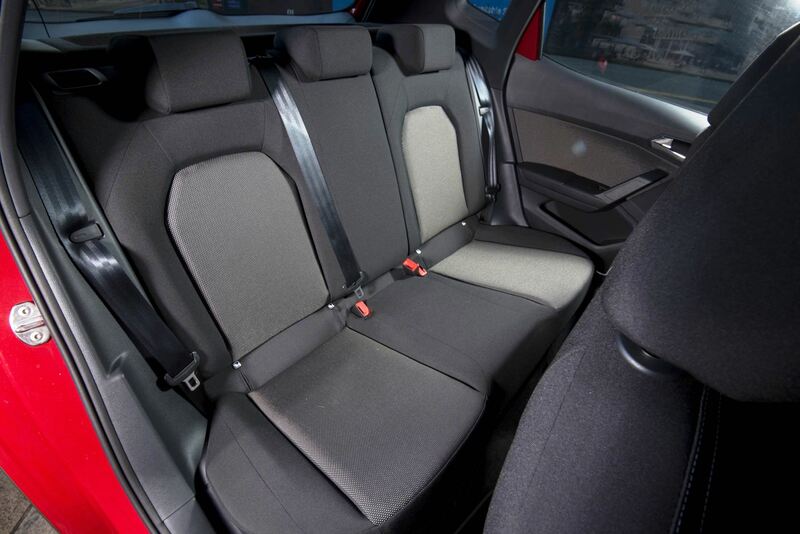 The SEAT Arona FR 1.5 TSI is a case in point. For reasons I will not bore you with here, the usual road test included fewer miles than normal. But the car’s qualities jumped out. 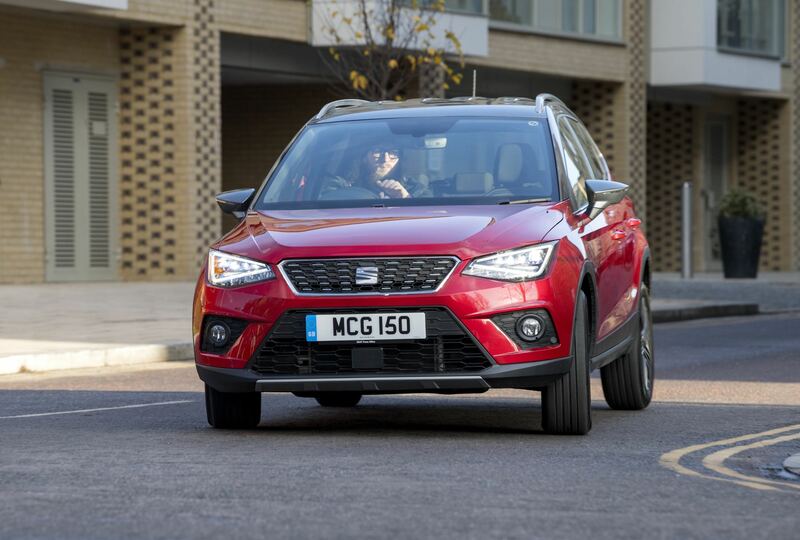 The SEAT Arona range runs to over 20 models, based on six trims and with three petrol and two diesel engines, manual or automatic transmission, and priced between £16,750 and £25,165. 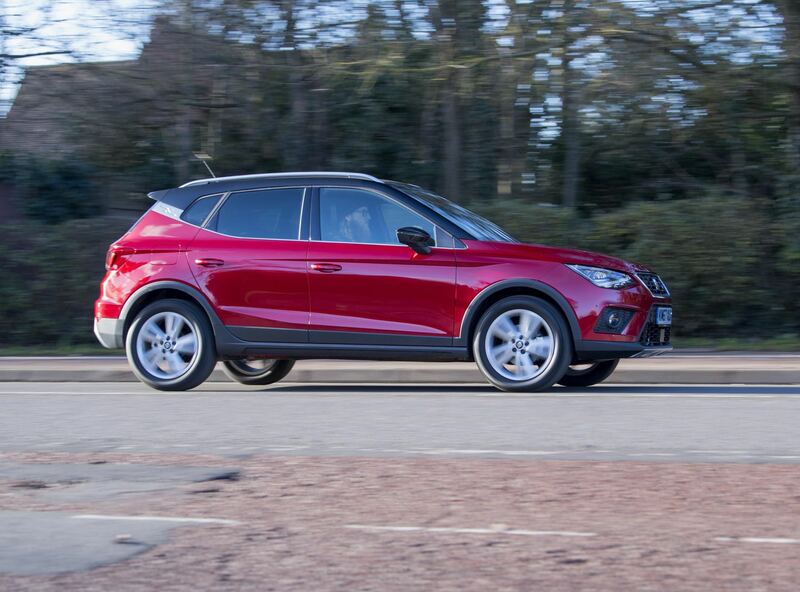 Fitted with one of the VW Group’s latest highly sophisticated medium sized petrol engines which had cylinder deactivation to drive up economy, and a sweet and slick gearchange, this mid-range Arona was a delight most of the time. 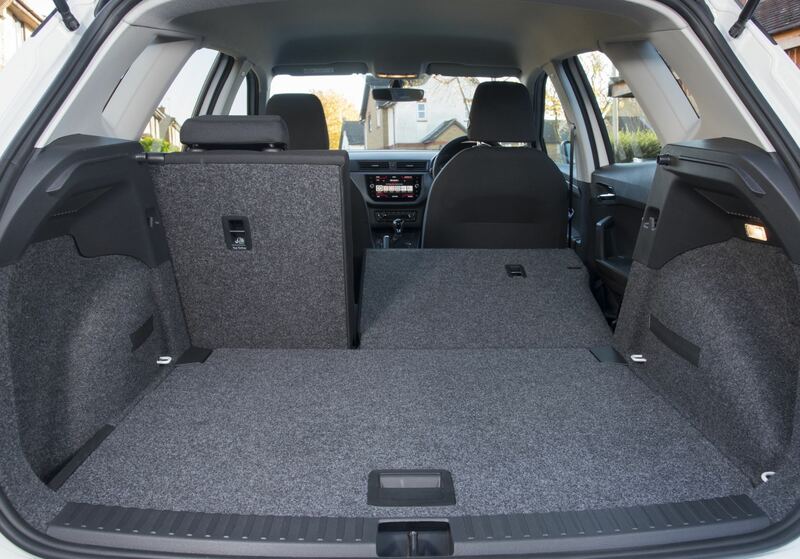 The 150 hp power output was strong enough to give this compact five door SUV styled hatchback good acceleration in town to keep up with traffic, to pass slower vehicles on open roads and to easily and economically cover miles on motorways and main roads. The light, slick gearchange was a perfect match and ratios were ideal to make the most of the power band and output, and I was glad to see it return an average of 40 mpg while at times it was heading even higher. The quietness and smoothness of the powertrain meant it was imperceptible when the system went into fuel saving deactivation mode but at other times with four cylinders pushing out power there were noticeable moments of hesitation when cruising and the deactivation did not kick in. Strange. The silence of the powertrain meant road noises did sometimes appear and there was a low background wind noise, but generally it was muted and very refined experience. The sophistication of the powertrain was matched by the steering and I felt confident in the car’s handling and enjoyed its remarkably smooth ride for a model of this size. Underfoot, the brakes sometimes made grinding noises with hard application and I was aware they tended to ‘grab’ at slower speed. The parking brake held it securely on our test slope. Secondary stalks and buttons all operated well, smoothly and quietly doing their job and they were well placed for convenience, with simple, clear instruments in front of the driver and a modest sized info-screen on the centre dash for features to be called up and used. Heating and ventilation worked well throughout, quickly and quietly altering as desired, with powered windows to back it up. Oddments room was reasonable but not very generous in what would be for many a family car and the boot was not huge, but took a number of shopping bags without a problem. Inside, the rear legroom was short for those above average height; access was good throughout and the adjustment room on the front seats was good. All were well shaped and comfortable. Vision was good to front and sides, more restricted to the rear and over the shoulder, lights were bright and wipers effective and near silent. 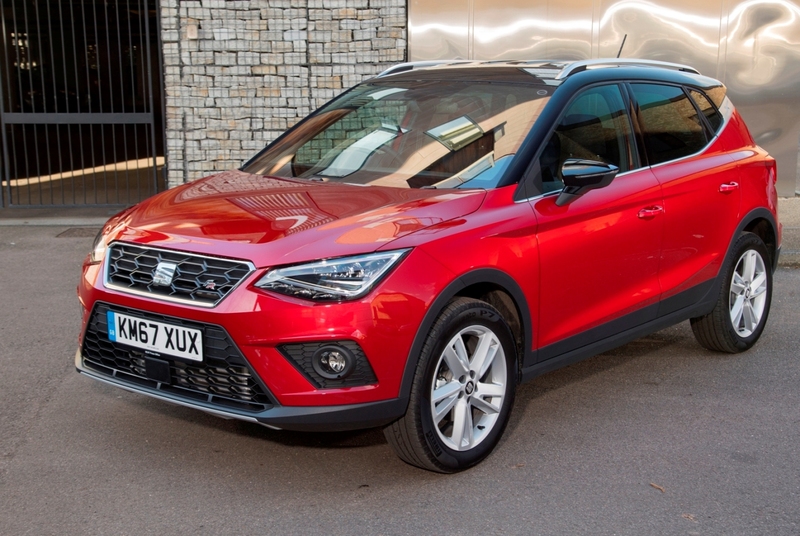 SEAT has done a good job with the Arona FR 1.5 TSI and I think it’s really hitting above its size in terms of refinement if not absolute sophistication as a family car. 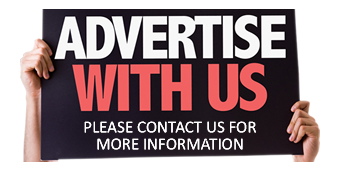 For: Refined, comfortable, easy to drive, good ride and handling, excellent controls. Against: Modest boot, some rear legroom restriction, occasional hesitation when running, ungenerous warranty. 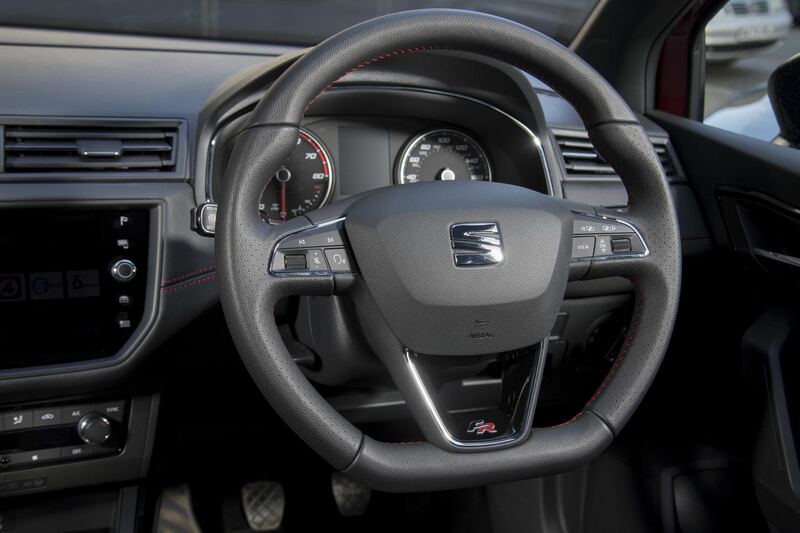 SEAT Arona FR 1.5 TSI EVO 150 hp Compact SUV. Price: £21,535 (towing prep £120 extra). Engine/transmission: 150 hp, four cylinder, 1,498cc turbo-petrol, six speed manual, 2WD. Performance: 127 mph, 0–62 mph 8.3 seconds. Fuel consumption: Combined MPG: 55.4 mpg (40 mpg on test). 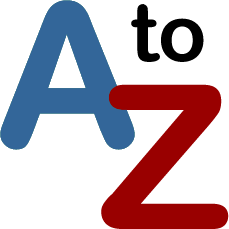 Emissions and taxation: CO2 115 g/km, VED road tax £165/£140, BiK company car tax 24%. Warranty: Three yrs/ 60,000 miles. Dimensions/capacities: L 4,138 mm (13.58 ft), W 1,780 mm (5.84 ft), H 1,552 mm (5.09 ft), boot/load space 400 to 1,280 litres (14.13 to 45.20 cu.ft), braked towing weight 1,200 kg (2,646 lb).